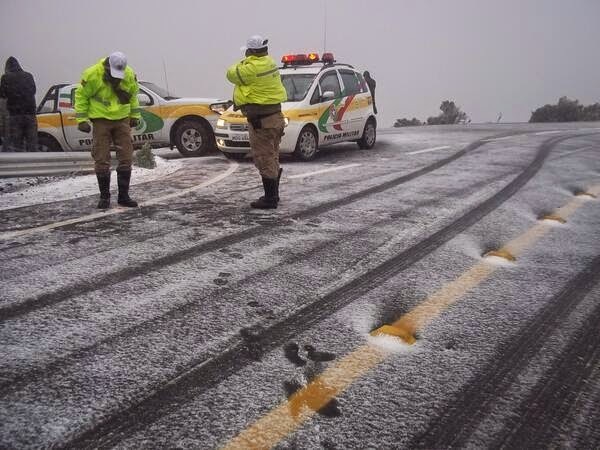 -La nueva lista de semillas está ahora disponible. 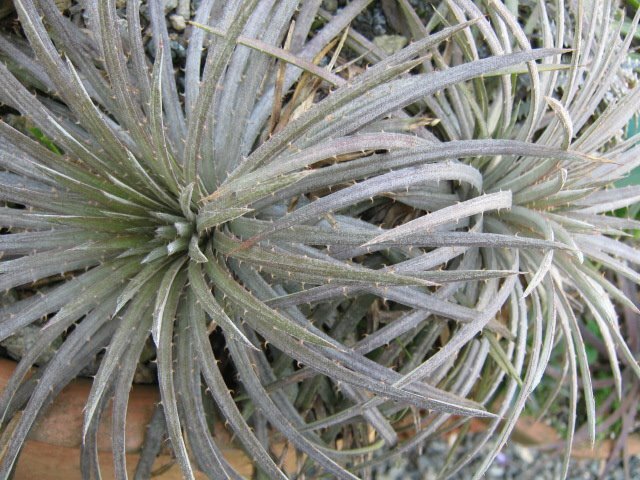 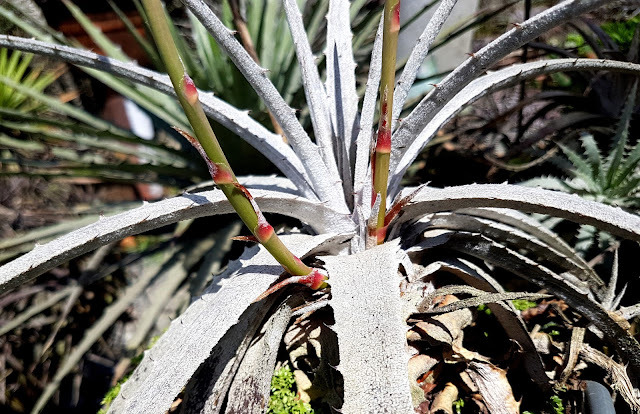 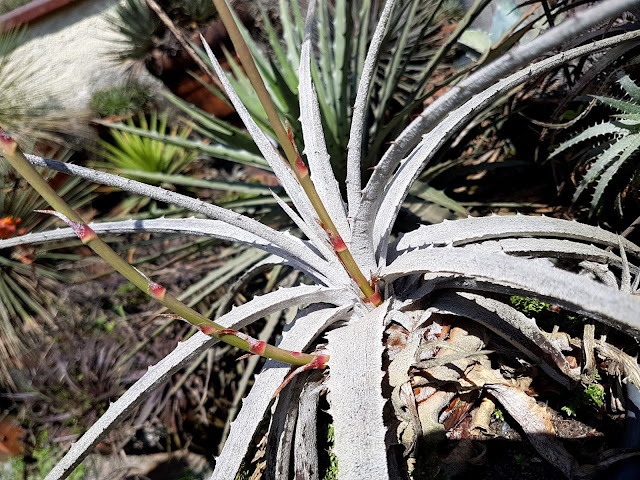 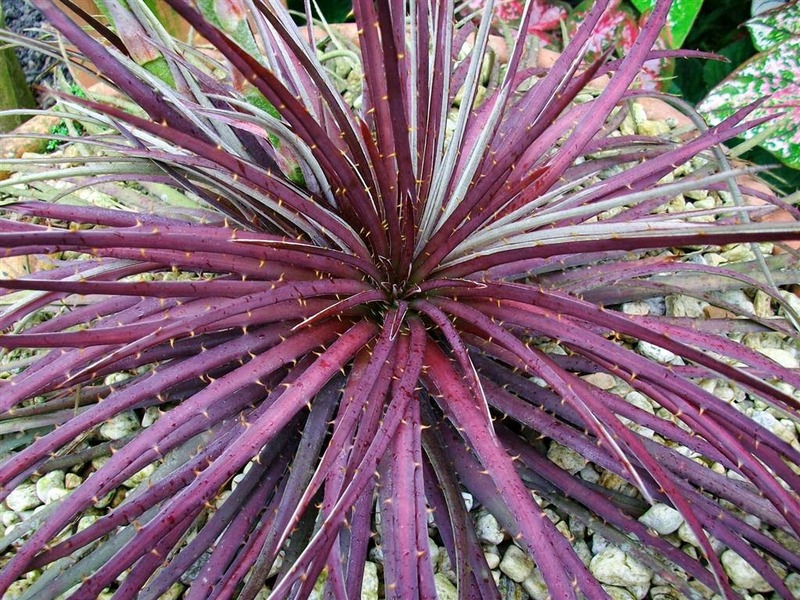 - Neue Dyckia Samen Liste ist verfügbar. 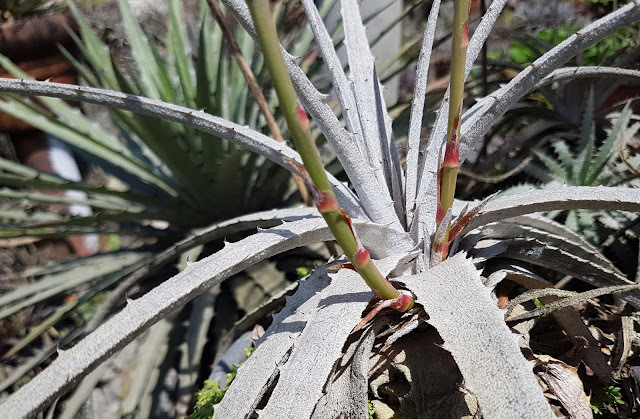 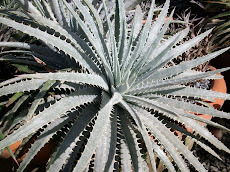 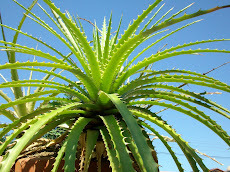 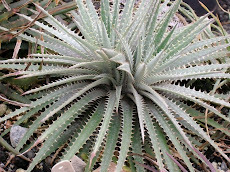 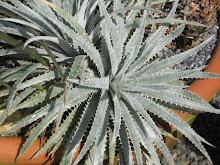 -La nouvelle liste de semences de Dyckia est disponible. 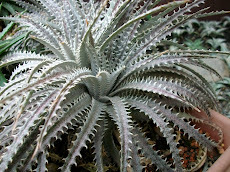 - È disponibile una nuova lista di semi di Dyckia. 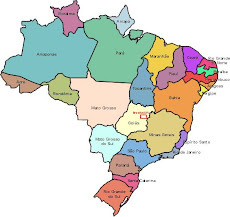 This beauty was found in Central Brazil. 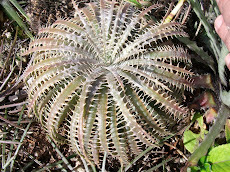 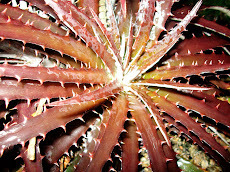 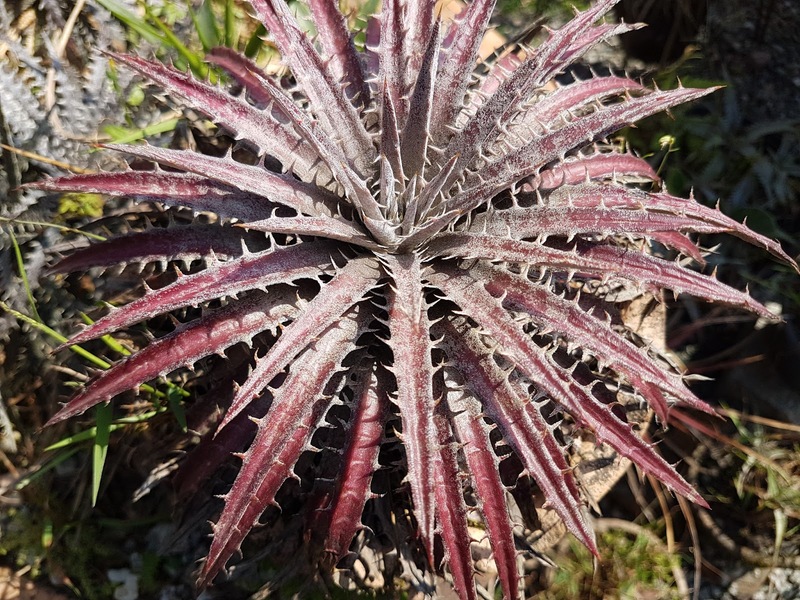 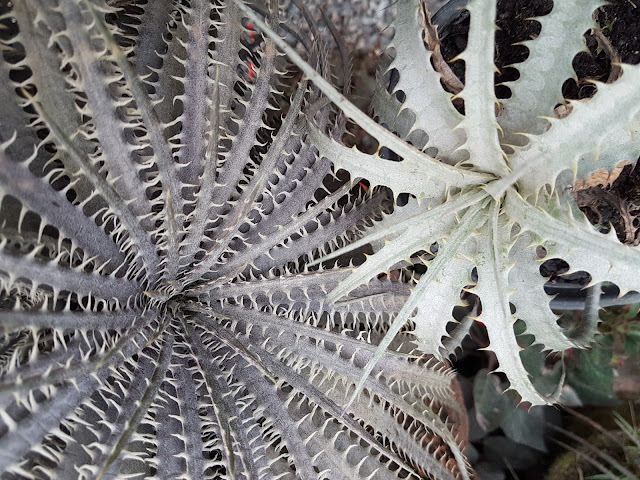 Dyckia found there seem to show these pretty underleaves. 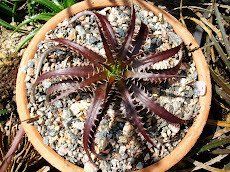 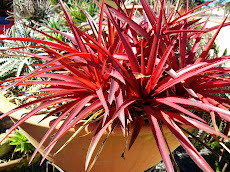 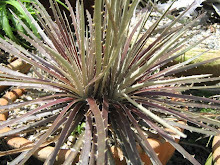 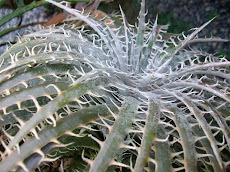 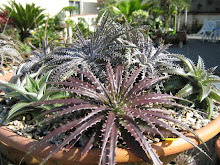 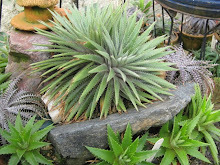 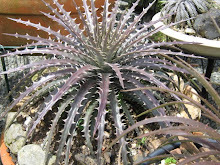 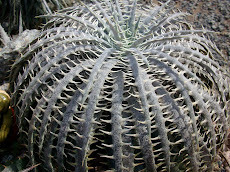 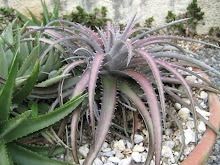 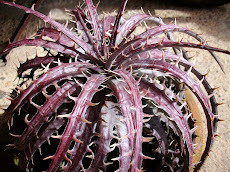 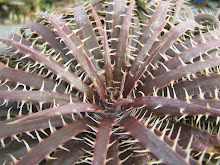 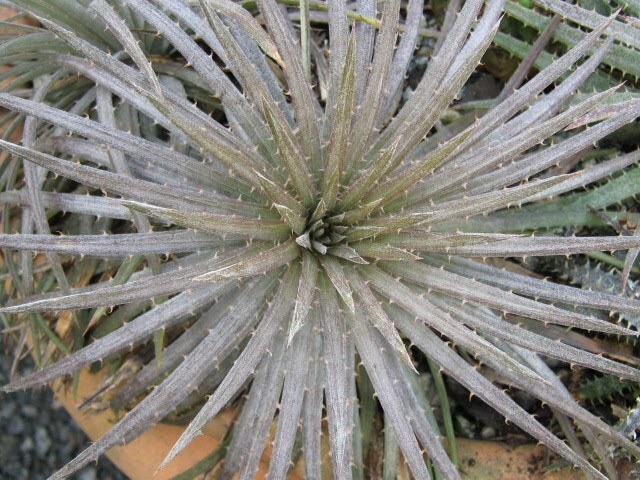 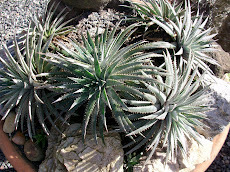 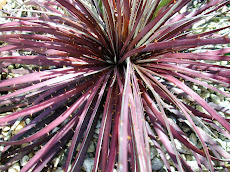 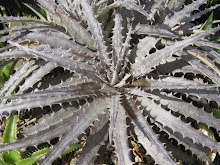 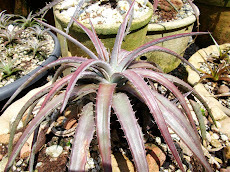 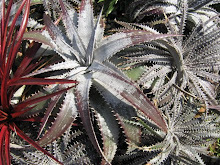 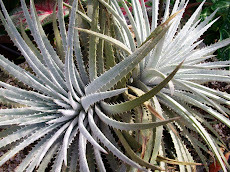 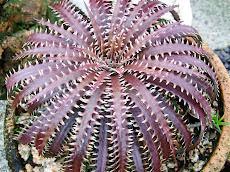 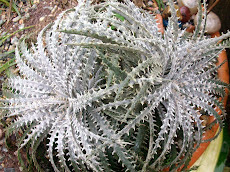 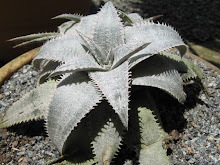 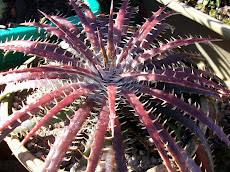 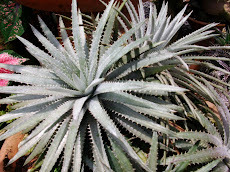 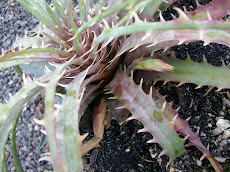 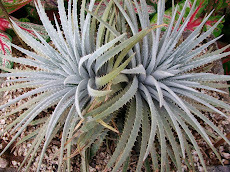 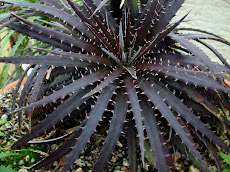 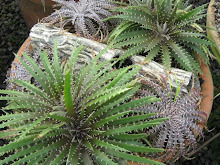 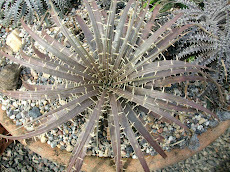 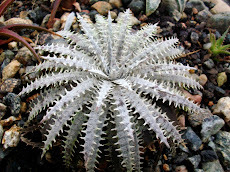 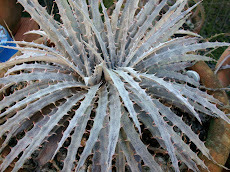 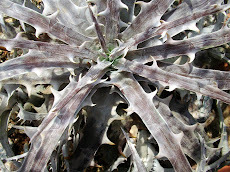 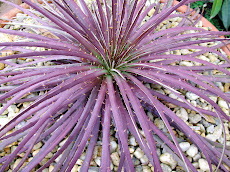 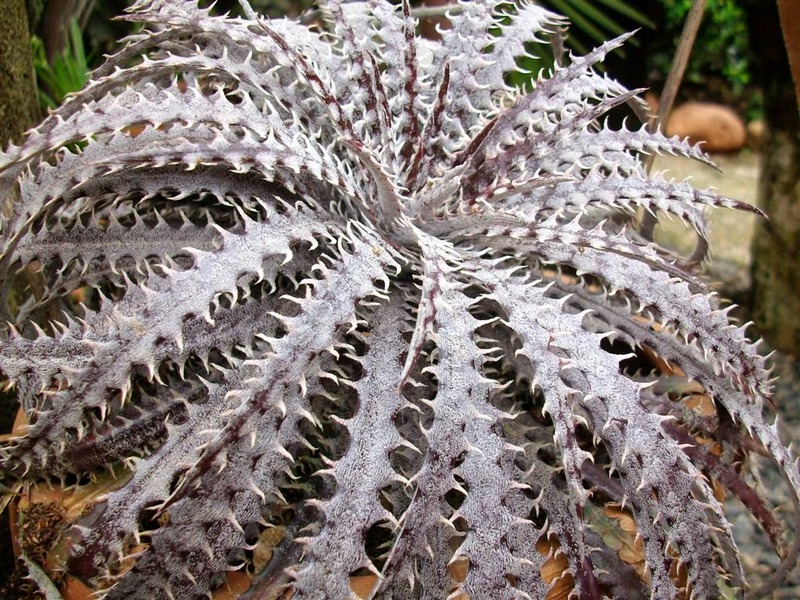 This is a very ornamental small still to be described brand new found Dyckia species. 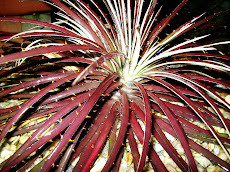 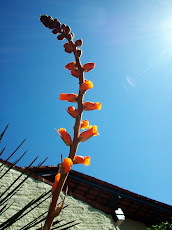 Seeds will make it possible to keep this beauty elsewhere around the world. 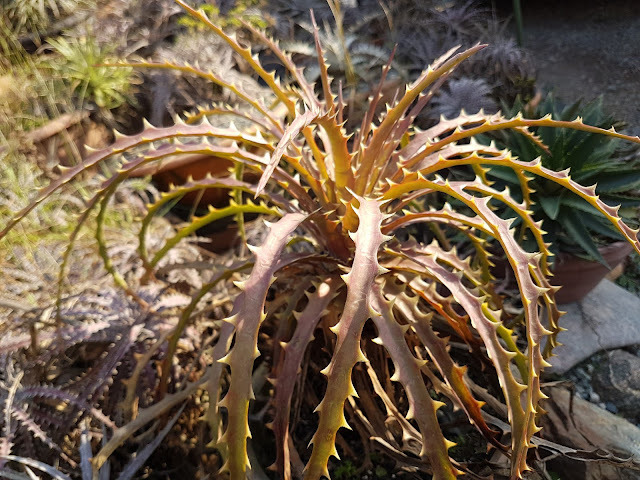 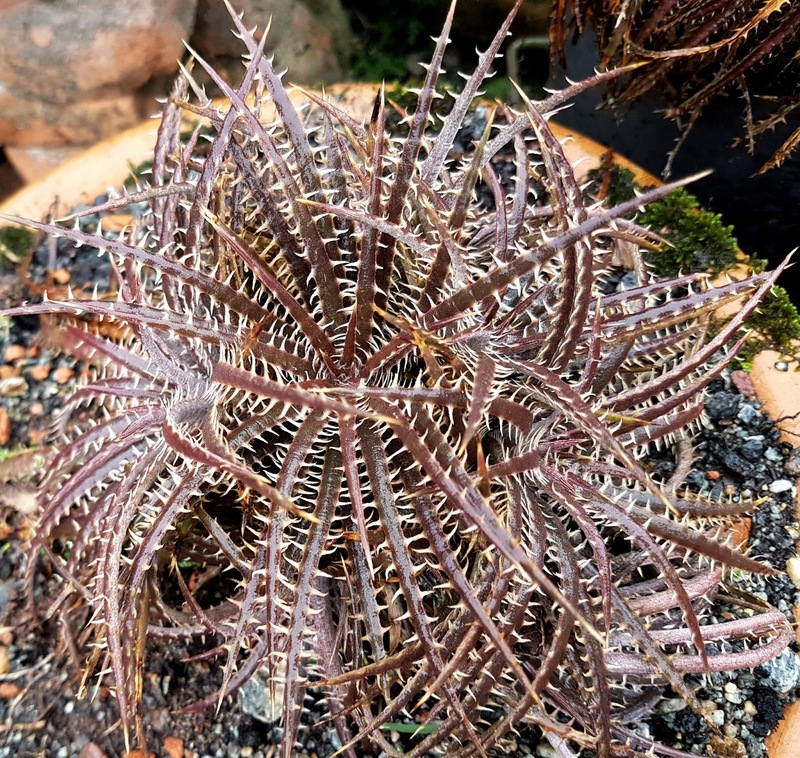 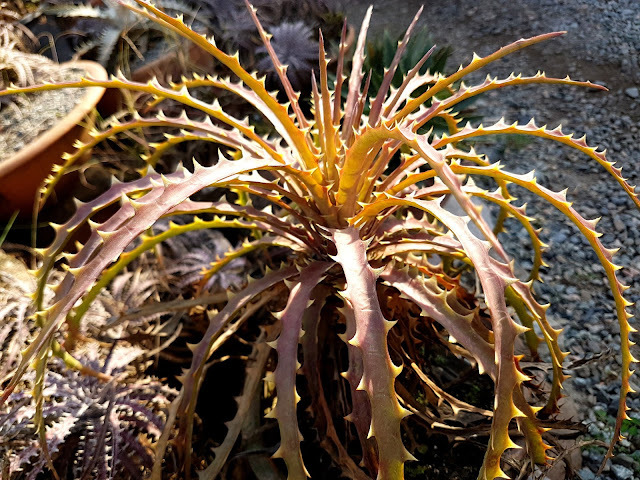 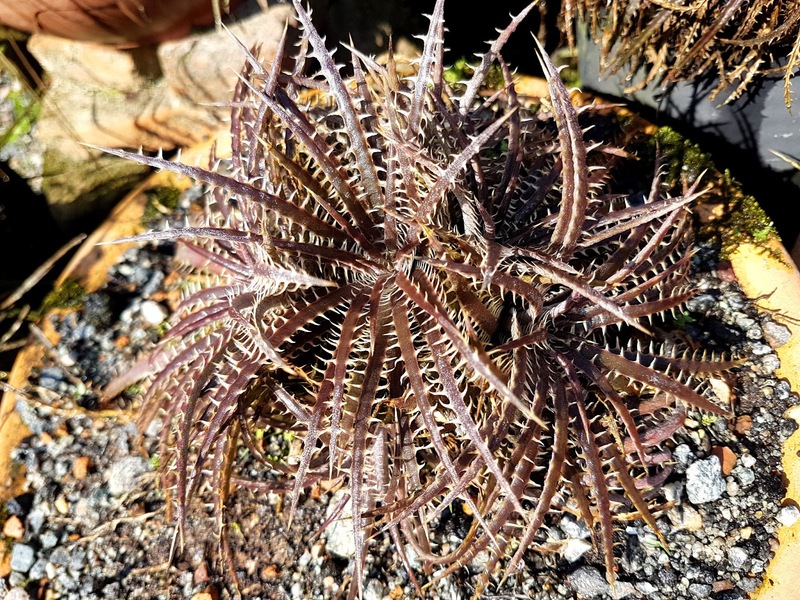 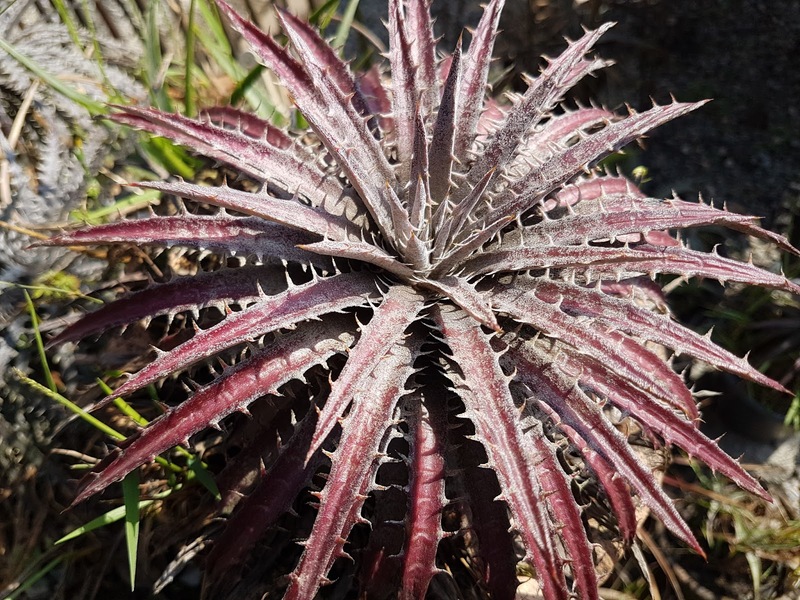 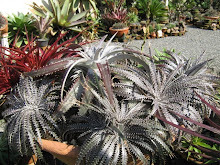 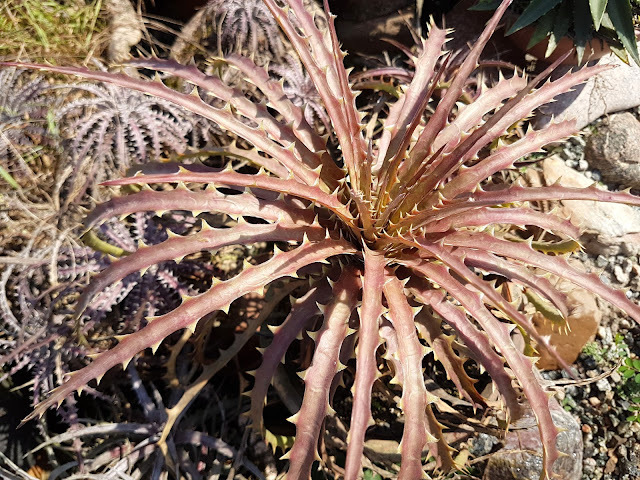 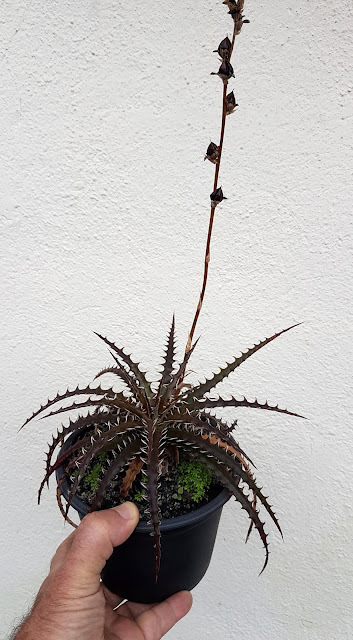 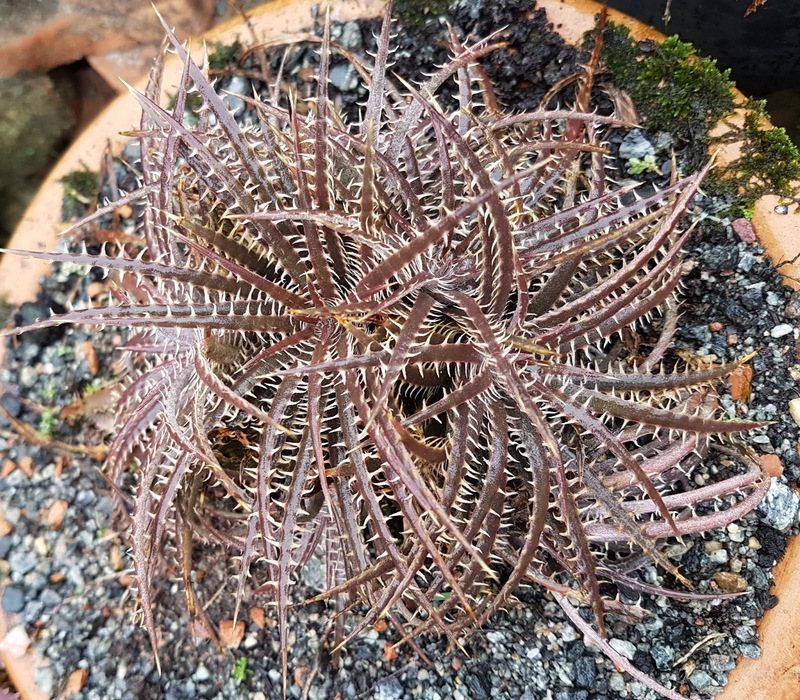 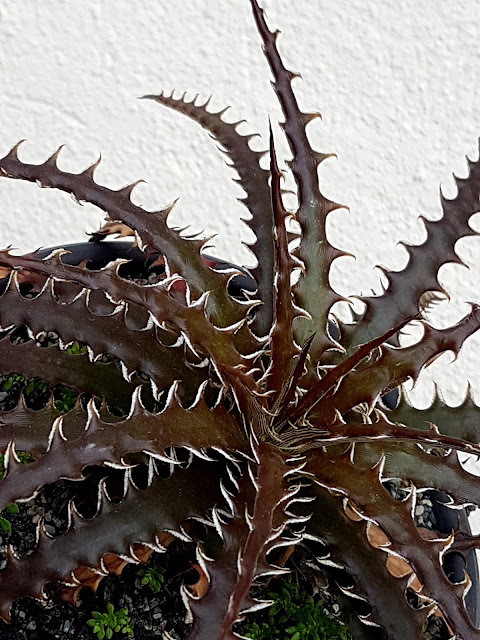 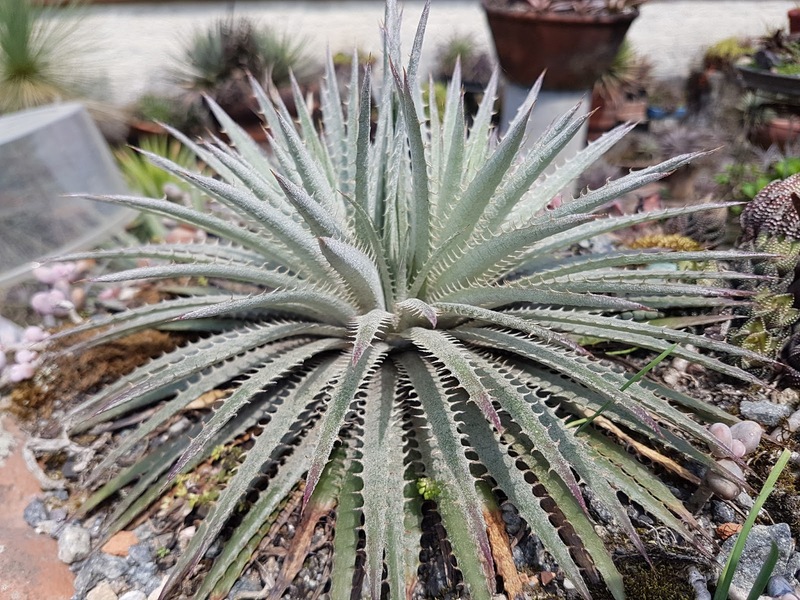 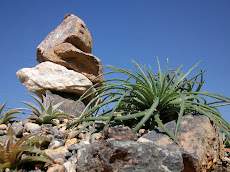 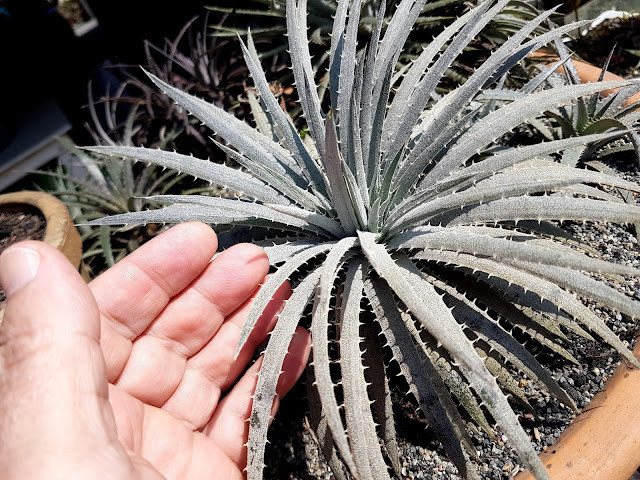 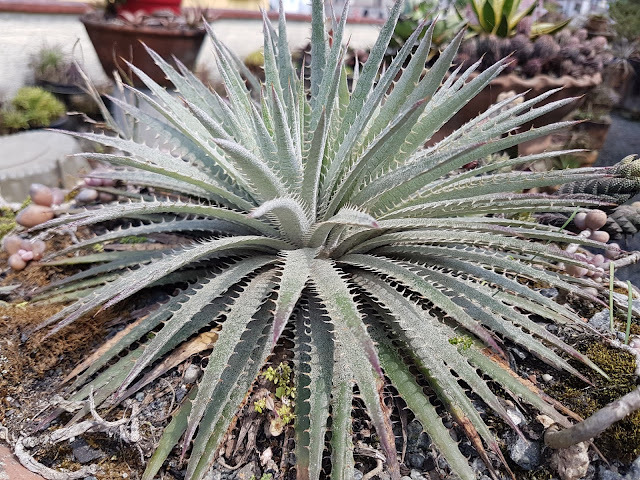 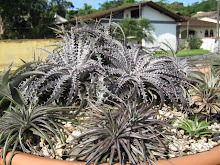 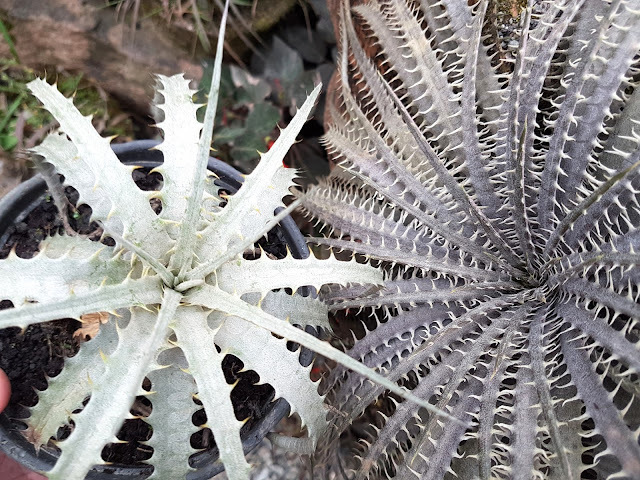 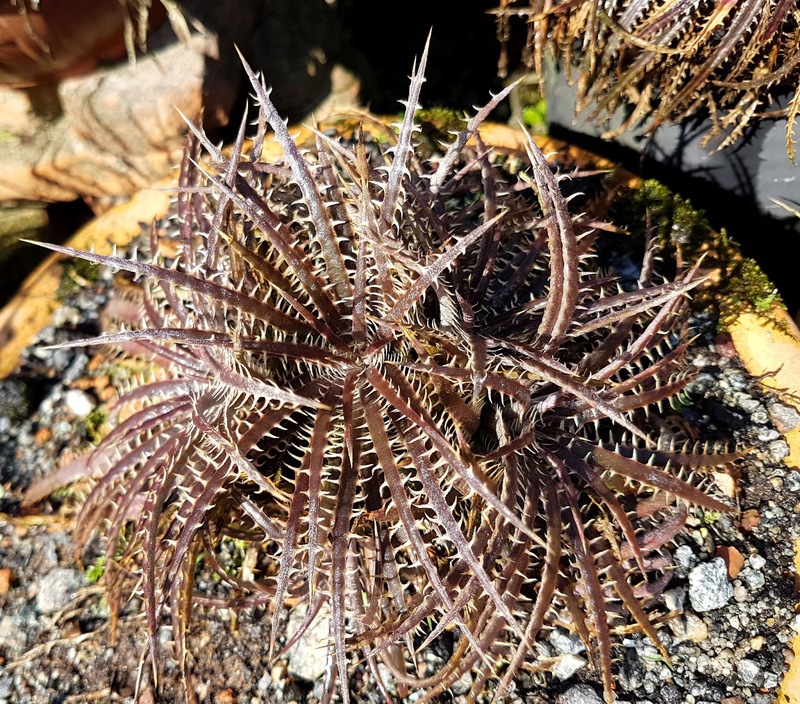 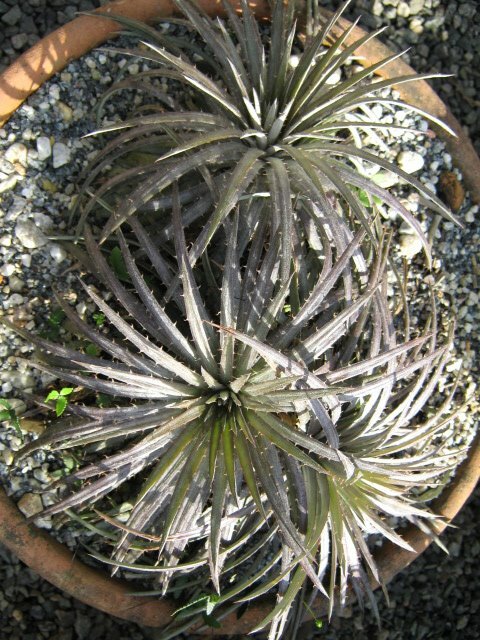 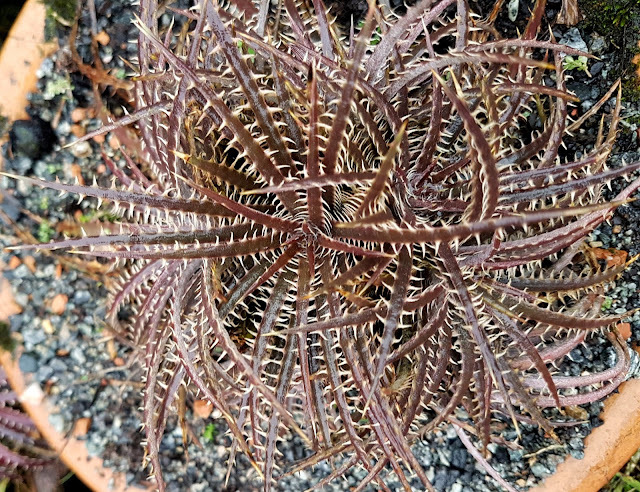 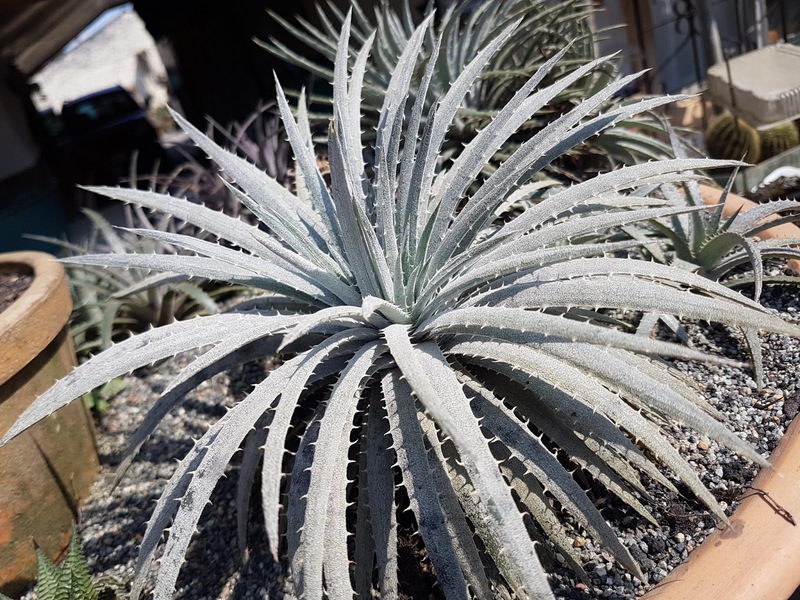 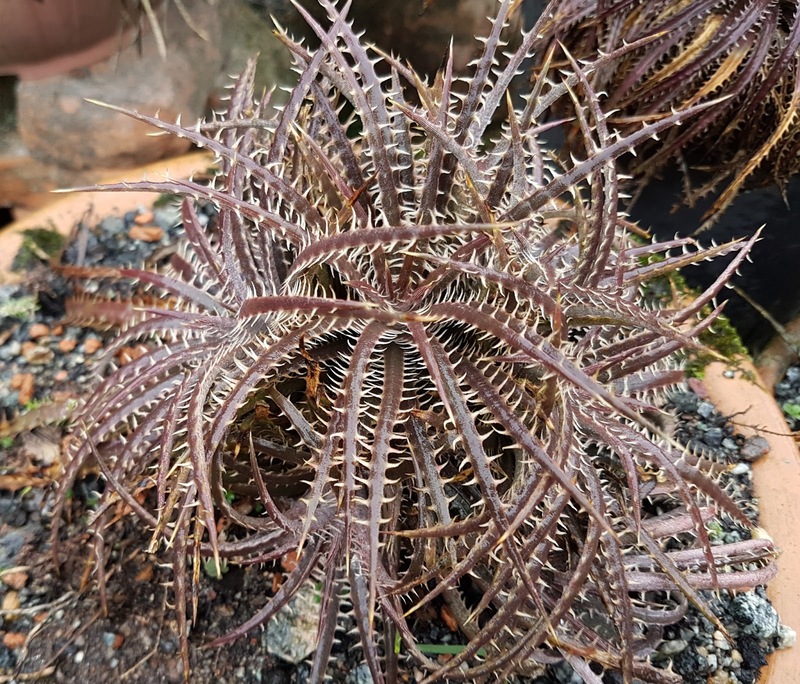 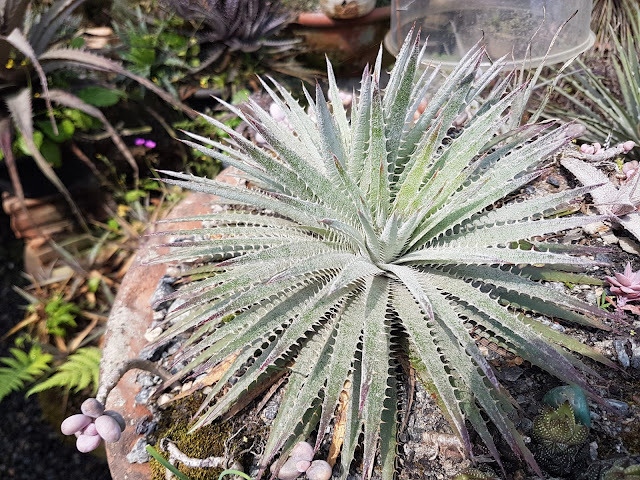 Dyckia delicata X Encholirium reflexum, what a mach! 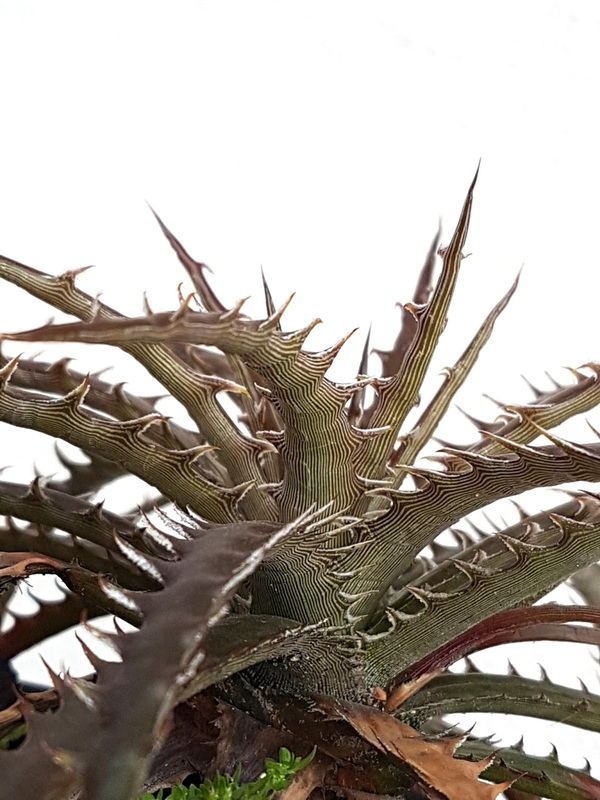 ...and look how many heads. 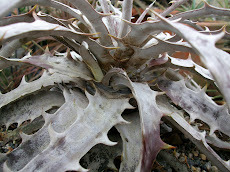 Each head can be cut and rooted and transformed into individual plants. 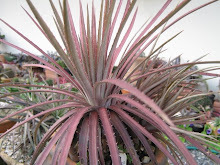 This assures the duplication of the very same plant:clones.